Making up the facts about climate change? How much carbon dioxide do volcanoes emit? 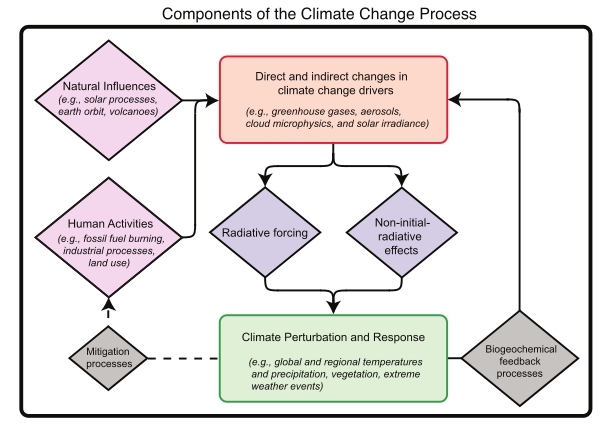 This seems exactly the kind of question we should be able to answer if we want to be able to say anything serious about climate change (see the top left box of the diagram). It also seems to be the kind of thing that scientific observation and measurement ought to be able to help us with. Furthermore, it would in principle be perfectly reasonable to conclude that we don’t actually have an answer yet because it’s just too hard to measure volcanoes with existing methods and technology. A little humility never hurt anyone.